1. Boxee's new box with D-Link - It was hard to miss the news from boxee this week that it will be launching its first box, in partnership with D-Link, in early 2010. Boxee has gained a rabid early adopter following, but the high hurdle requirement of downloading and configuring its software onto a 3rd party device meant it was unlikely to gain mainstream appeal. Strategically, the new box is the right move for the company. For other standalone box makers such as Roku, boxee's box, with its open source ability to easily offer lots of content, is a new challenge (though note, still no Hulu programming and little cable programming will be available on the boxee box). The indicated price point of $200 is on the high side, particularly as broadband-enabled Blu-ray players are already sub-$150 and falling. Roku has set a high standard for out-of-the-box usability whereas D-Link's media adaptors have never been considered ease-of-use standouts. Boxee's snazzy, but very unconventional sunken-cube design for the D-Link box is also risky. While eye-catching, it introduces complexity for users already challenged by how to squeeze another component onto their shelves. If boxee only succeeds in getting its current early adopters to buy the box it will have gained little. This one will be interesting to watch unfold. 2. AT&T tries to solve its iPhone data usage problem - In the "be careful what you ask for, you might just get it" category, AT&T Wireless head Ralph de la Vega revealed an interesting factoid this week at the UBS media conference: 3% of its smartphone (i.e. iPhone) users consume 40% of its network's capacity. Of course video and audio capabilities were one of the big ideas behind the iPhone, so AT&T should hardly be surprised by this result. AT&T, which has been hammered by Verizon (not to mention its users) over network quality, thinks the solution to its problem is giving heavy users unspecified "incentives" to reduce their activity. No word on what that means exactly. Mobile video has become very hot this year, largely due to the iPhone's success. But the best smartphones in the world can't compensate for lack of network capacity. While AT&T is adding more 3G availability, it's questionable whether they'll ever catch up to user demand. That could mean the only way to manage this problem is to throttle demand through higher data usage pricing. That would be unfortunate and surely stunt the iPhone's video growth. Verizon, with its line of Android-powered phones, could be a key beneficiary. 3. Q3 '09 Nielsen data shows TV's supremacy remains, though early slippage found - Nielsen released its latest A2/M2 Three Screen Report this week, offering yet another reminder that despite online video's incredible growth, TV viewing still reigns supreme. Nielsen found that TV viewing accounted for 129 hours, 16 minutes in Q3. While that amount is more than 40 times greater than the 3 hours, 24 minutes spent on online video viewing, it is actually down a slight .4% from Q3 '08 of 129 hours 45 minutes. How much weight should we give that drop of 29 minutes a month (which equates to just less than a minute/day)? Not a lot until we see a sustained trend over time. There are plenty of other video options causing competition for consumers' attention, but good old fashioned TV is going to dominate for a long time to come. This is one of the key motivators behind Comcast's acquisition of NBCU. 4. 3D poised for major visibility - In my Oct. 30th "4 Items" post I mentioned being impressed with a demo from 3D TV technology company HDLogix I saw while in Denver for the CTAM Summit. This Sunday the company will do a major public demonstration, broadcasting the Cowboys-Chargers in 3D on the Cowboys Stadium's 160 foot by 72 foot HDTV display. HDLogix touts its ImageIQ 3D as the most cost-effective method for generating 3D video, as it upconverts existing 2D streams in real-time, meaning no additional production costs are incurred. Obviously those watching from home won't be able to see the 3D streaming, but it will surely be a sight to see the 80,000 attendees sporting their 3D glasses oohing and aahing. Between this and James Cameron's 3D "Avatar" releasing next week, 3D is poised for a lot of exposure. 1. Nielsen "Three Screen Report" shows no TV viewing erosion - I was intrigued by Nielsen's new data out this week that showed no erosion in TV viewership year over year. In Q2 '08 TV usage was 139 hours/mo. In Q2 '09 it actually ticked up a bit to 141 hours 3 minutes/mo. Nielsen shows an almost 50% increase in time spent watching video on the Internet, from 2 hours 12 minutes in Q2 '08 to 3 hours 11 minutes in Q2 '09 (it's worth noting that recently comScore pegged online video usage at a far higher level of 8.3 hours/mo raising the question of how to reconcile the two firms' methodologies). I find it slightly amazing that we still aren't seeing any drop off in TV viewership. Are people really able to expand their media behavior to accommodate all this? Are they multi-tasking more? Is the data incorrect? Who knows. I for one believe that it's practically inevitable that TV viewership numbers are going to come down at some point. We'll see. 2. DivX acquires AnySource - Though relatively small at about $15M, this week's acquisition by DivX of AnySource Media is important and further proof of the jostling for position underway in the "broadband video-to-the-TV" convergence battle (see this week's "First Intel-Powered Convergence Device Being Unveiled in Europe" for more). I wrote about AnySource earlier this year, noting that its "Internet Video Navigator" looked like a content-friendly approach that would be highly beneficial to CE companies launching Internet-enabled TVs. I'm guessing that DivX will seek to license IVN to CE companies as part of a DivX bundle, moving AnySource away from its current ad-based model. With the IBC show starting late next week, I'm anticipating a number of convergence-oriented announcements. 3. iPhone usage swamps AT&T's wireless network - The NY Times carried a great story this week about the frustration some AT&T subscribers are experiencing these days, as data-centric iPhone usage crushes AT&T's network (video is no doubt the biggest culprit). This was entirely predictable and now AT&T is scrambling to upgrade its network to keep up with demand. But with upgrades not planned to be completed until next year, further pain can be expected. I've been enthusiastic about both live and on-demand video applications on the iPhone (and other smartphones as well), but I'm sobered by the reality that these mobile video apps will be for naught if the underlying networks can't handle them. 4. Another great Netflix streaming experience for me, this time in Quechee VT courtesy of Verizon Wireless - Speaking of taxing the network, I was a prime offender of Verizon's wireless network last weekend. While in Quechee, VT (a pretty remote town about 130 miles from Boston) for a friend's wedding, I tethered my Blackberry during downtime and streamed "The Shawshank Redemption" (the best movie ever made) to my PC using Netflix's Watch Instantly. I'm happy to report that it came through without a single hiccup. 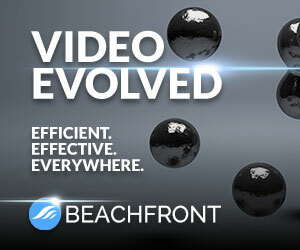 Beautiful full-screen video quality, audio and video in synch, and totally responsive fast-forwarding and rewinding. I've been very bullish on Netflix's Watch Instantly, and this experience made me even more so. Per the AT&T issue above, it's quite possible that occupants of neighboring rooms in the inn who were trying to make calls on their Verizon phones while I was watching weren't able to do so. But hey, that was their problem, not mine! Enjoy the weekend (especially if you're in the U.S. and have Monday off too)!